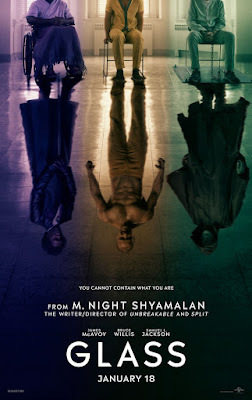 In its current fractured state, M. Night Shyamalan's latest supernatural gobbledygook features signature bits of "Glass" from a large cinematic goblet that remains very broken. I mean, the guy throws up a lot of ideas and possibilities here, including shards of mythology about superheroes that are either real, imagined or simply fragments from the ever-fertile mind of the writer and director who arguably gave us the first film about comic-book obsession. That would be 2000's "Unbreakable," which featured David Dunn (Bruce Willis), the seemingly superhuman sole survivor of a horrific train crash perpetrated by a brilliant and brittle-boned piece of work named Elijah (Samuel L. Jackson). Both men return in "Glass," the apparent ending of a two-decade trilogy middled by 2017's "Split," which, it says here, easily remains the best of the three movies mentioned in this paragraph. It told the not-so-subtle, but truly frightening story of a creepy kidnapper (exceptionally played by James McAvoy) with 24 different personalities. 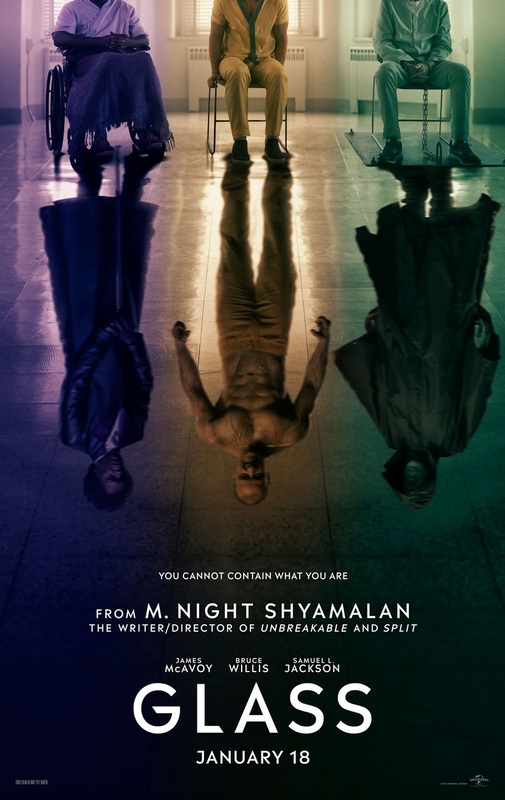 Many of them also return in Shyamalan's latest, including "The Beast," with McAvoy pumping up himself and his most intimidating persona into a couple of remarkable frenzies. In fact, "Glass" begins just about where "Split" ended, when Dunn/Willis appeared in cameo and now goes on the trail of McAvoy's many -- he calls them his "Horde" -- and the quartet of skinny young cheerleaders the psychopath has primed for four more serial murders. Naturally, Dunn, whose various powers may or may not include seeing almost-dead people, shows up just in time to battle "The Beast," and so do authorities, who put them both in an eerie, yet high-tech asylum. That's where the endless delusion-based talk from an irritating shrink (Sarah Paulson) quickly starts taking much of the starch out of a yarn that had begun rather intriguingly. Elijah/Jackson is already there, too, but sits constantly in a vegetative state that doesn't change in time to save a movie suffering from intermittent incongruity, weird pretense, and unnecessary length. Still, it likely might have been worse, since Shyamalan has been telling media types that his original cut came in at more than 200 minutes.